To be acceptable for registration in the U.S. 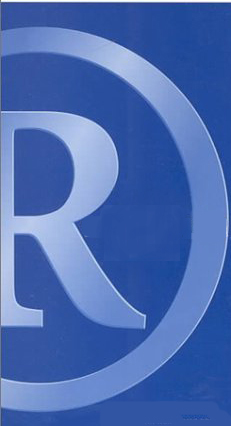 Trademark Office, a service mark specimen must show use of the mark in association with the claimed services in their sale or advertising in commerce that is regulated by Congress, namely interstate, territorial and commerce between the United States and a foreign country. The manner of service mark use on a specimen must be such that customers would readily understand the service mark as identifying and distinguishing the applicant's services and indicating their source. A single specimen as currently being used in commerce is required in an application to register a service mark on the Principal Register of the United States Trademark Office. invoices may be acceptable service mark specimens provided they show the mark and refer to the relevant services. price lists; order forms; announcements; publicity releases; listings in trade directories; business cards; and materials used for the purpose of conducting internal business such as invoices, bills of lading, waybills, inventory sheets, warranties and business letterhead stationery; and bags and other packaging materials bearing the name of a retail store and used by the store merely for packaging items of sold merchandise. “Interstate commerce" refers to buying and selling products, and selling or advertising services, across state borders. A more formal definition of "interstate commerce" is: commerce between any combination of states, territories, and possessions of the United States, including the District of Columbia. The phrase "foreign commerce" means commerce between any state, territory or possession of the United States and a foreign country. "Territorial commerce" is commerce within a territory of the United States (e.g., Guam, Puerto Rico, American Samoa, the United States Virgin Islands) or between the United States and a territory of the United States. A purely intrastate use ordinarily does not provide a basis for federal registration. However, if intrastate use directly affects a type of commerce that Congress may regulate, this constitutes use in commerce. For example, services rendered at a single-location restaurant, hotel or gasoline service station serving interstate travelers constitutes "use in commerce" and therefore qualify for federal registration purposes. Contact us to schedule a confidential meeting with our trademark attorneys.